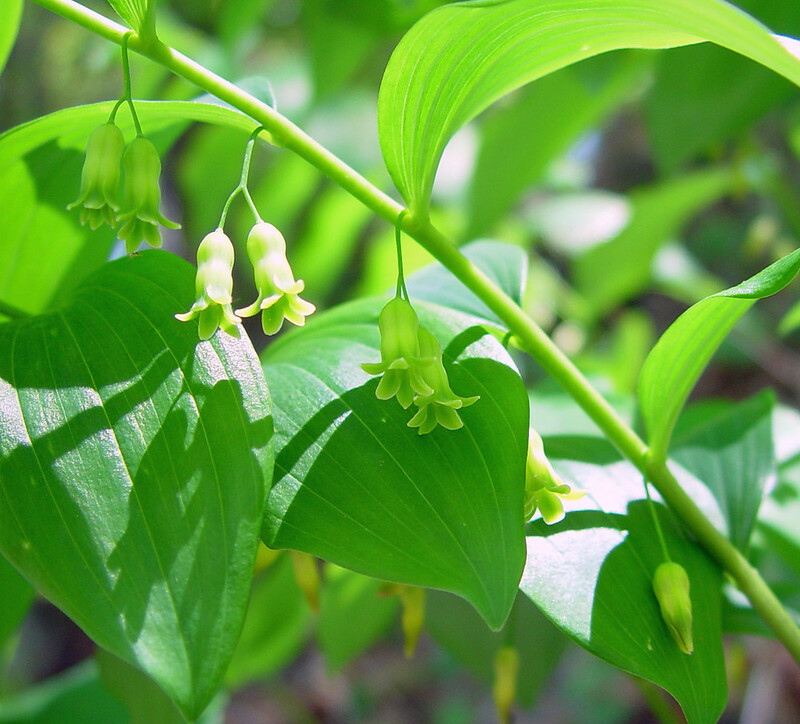 Hairy Solomon's-seal is distinguished from King Solomon's seal in part by the pubescence on the veins of the underside of the leaves. 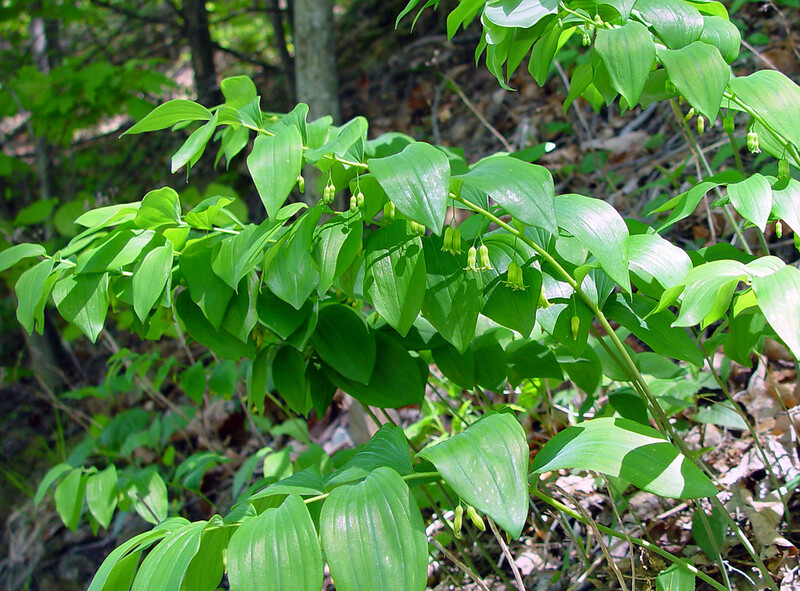 The rhizome is edible after cooking long enough to neutralize the calcium oxylate crystals and saponins. 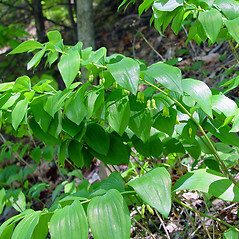 leaves without hairs and tepal lobes 4-6.5 mm long (vs. P. pubescens, with leaves hairy on veins of undersurface and tepal lobes 2-3 mm long). tepals white with green at apex and filaments smooth, glabrous or pubescent (vs. P. pubescens, with tepals green-yellow and filaments papillose). 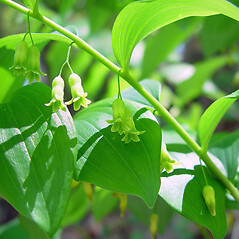 hairy Solomon’s-seal. 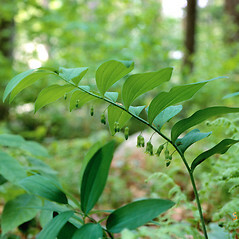 Convallaria pubescens Willd. 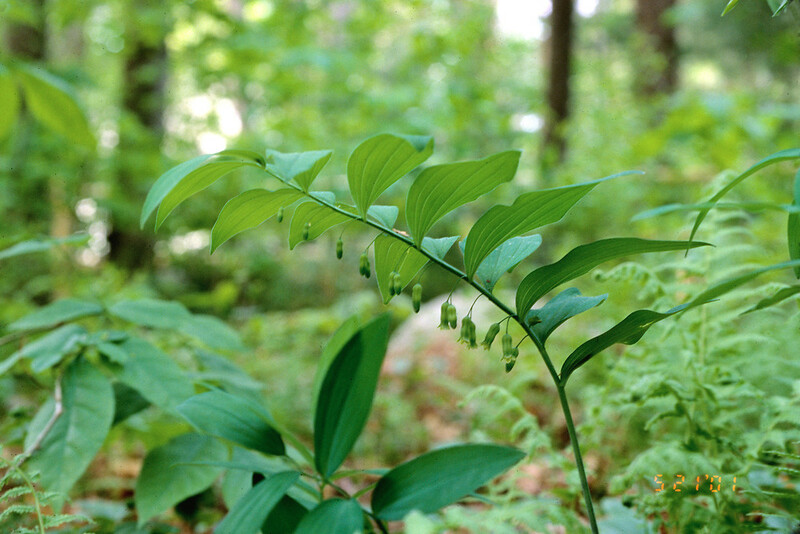 • CT, MA, ME, NH, RI, VT. Mesic, deciduous forests, often found in rich soils and on rocky slopes.